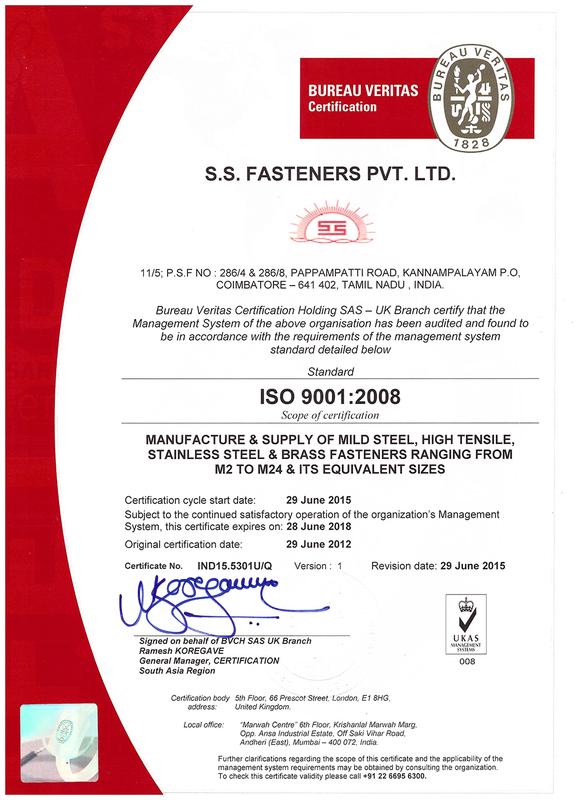 S S Fasteners Pvt Ltd has built its brand on a strong vision , aimed at achieving Excellence that customers are always in search of. Ever since its inception in 1988, it has exhibited excellent teamwork, which is all focused in driving the Wheels of Reliability at a steady pace, day after day. The management’s mission “Quality,, Everywhere..” had been imbibed deeply into the minds of all the team members and, today it is more than a culture amongst us. Our state of art infra structure is a promise to our efforts for the continuous improvement in products & enable us achieve zero percent rejection. And not to mention the ISO 9001:2008 certification by M/s BVQI, the world’s leading accreditation body. Our Quality Assurance team’s in-depth application & analysis of various SQC techniques is our bridge to building product reliability. The raw materials undergo stringent quality checks and the conditions are tightened further as they move for conversion to the end products. Our Marketing Engineers are well motivated to run the extra mile to fulfil the promises to our customers. Our advanced communication and software systems would give a feel to the customers as though we remain next door. The packing standards are so designed to enhance convince in handling and distribution to the customers end. Our expertise in fasteners technology has widened our range and, today we offer fasteners & precision turned parts in various material grades namely Stainless Steel, Mild Steel, High Tensile & Brass thereby offering endless choice to our customers in design & product session. We are committed and dedicated to tacking fasteners technology to new heights by adopting emerging technologies, in order to be the first choice of our customers, when it comes to fastening needs for various applications. 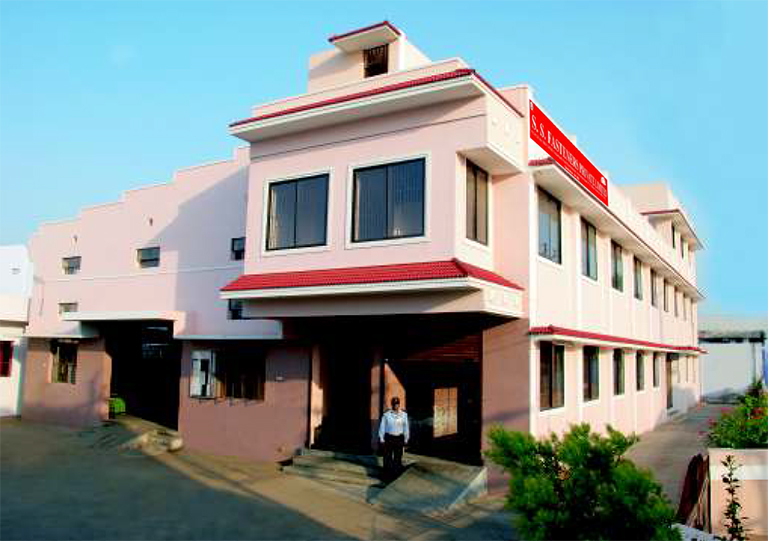 Our manufacturing facility is a mere 11 Kms from the Airport and 15 Kms from the Railway Station of Coimbatore, an industrial city in the Southern state of Tamil Nadu, India.